Scott Gerber is a serial entrepreneur, internationally syndicated business columnist, and founder of the Young Entrepreneur Council (YEC), an organization comprised of hundreds of the world's most successful young entrepreneurs that promotes entrepreneurship as a solution to youth unemployment. Scott has been widely recognized as the world's most-syndicated columnist on the subject of entrepreneurship. His columns appear regularly on Fortune, TIME, Inc., CNBC, The Atlantic, Mashable, and The Next Web. 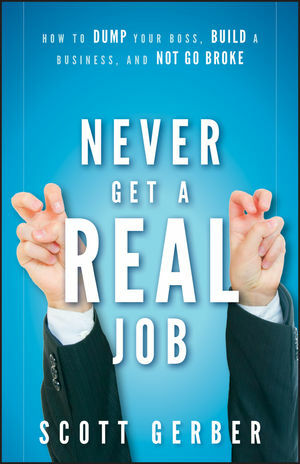 Follow him at @askgerber or visit NeverGetARealJob.com. Chapter 2 No One Cares About You—Unless You Make Them Care. Chapter 8 Shoestrapping (Because the Boot Is Too Damn Expensive). Chapter 9 Those Phones Won't Ring Themselves: The 15 Principles of a Power Seller.